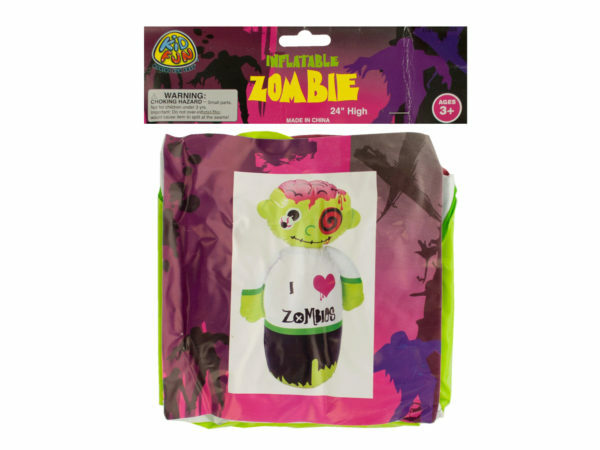 Perfect for kids' Halloween parties or anytime fun, this Inflatable Zombie features a colorful zombie character in a cute design with a weighted bottom. Measures approximately 24" tall. For ages 3 and up. Comes packaged in a poly bag with a header card.